I am so excited to share this recipe with you. 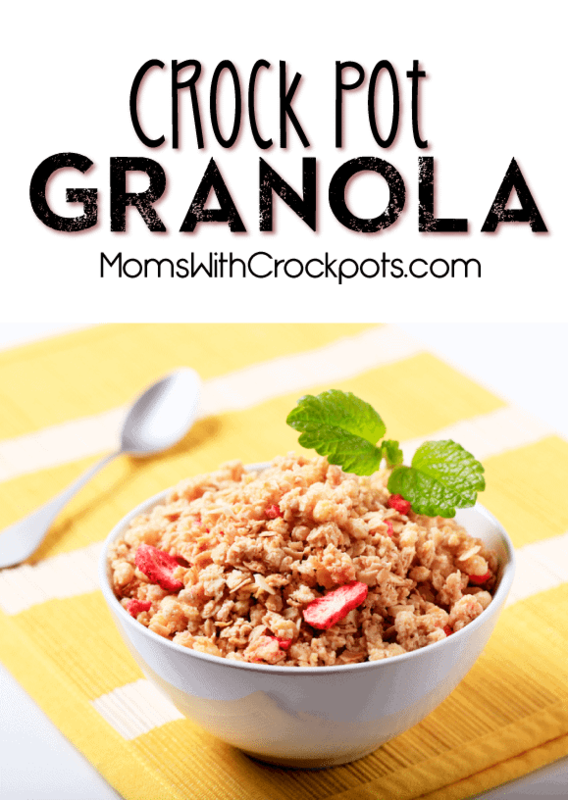 Back to school time is just around the corner and my kids love granola. We use Homemade Granola for snacks, to top yogurt parfaits, and just with a little bit of milk in the morning. We have experimented with all kinds of mix ins too. My kids love picking the types of fruit that will go in the granola. My son on the other hand is more likely to choose chocolate chips or M&M’s. This granola recipe is so versatile. We will even some times make big batches and then i split it evenly between the kids and allow them to make their own “special granola blend”. They love sampling each others granola to see which one turned out the best. If you or some you love is gluten free, you can substitute gluten free oatmeal. I recommend Bob’s Red Mill. You can find it on amazon fairly reasonable. Ad added bonus, your house will smell like cinnamon and honey while this is slow cooking. YUM! In a small saucepan, melt the coconut oil (or butter). Once it has turned into a liquid, mix in the honey to form your sauce. Mix Oats, Flaxseed, nuts and cinnamon in your crockpot. Add the honey mixture as well as the vanilla and cinnamon. Stir thoroughly. Allow the granola to cook on low for 2-4 hours. You may want to stir every hour to avoid burning. You are also going to leave the lid cracked a little to allow the moisture to escape. Cooking times will greatly vary depending on your crock pot as they all cook at slightly different temps. Allow to cool, then mix in the dried fruit and/or chocolate chips. Store in the refrigerator in an air-tight container for several weeks. This is my husband’s favorite granola. He takes gallon bags of it to work to share with the guys. In trying a batch with maple syrup instead of honey. I have two crackpots going today!